Moskva is a highly equipped guided missile cruiser. It carries conventional weapons and is capable of carrying out electronic warfare. But its current mission is to observe the situation and provide security for Abkhazians. Abkhazians continue celebrating the republic's recognition by Russia and they're hoping their independence will also be accepted by other nations. But as NATO increases its presence in the Black Sea, Abkhazians are worried. 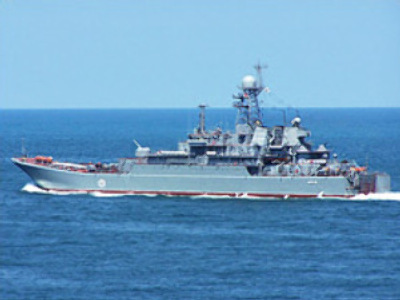 Local authorities hope the presence of Russian ships will help allay fears among the population of the region. Abkhazian president Sergey Bagapsh went onboard to greet the sailors personally. Two smaller Russian vessels are also docked in Sukhum sea port. Locals came with their families to see the ships. They thank Russia for its support.